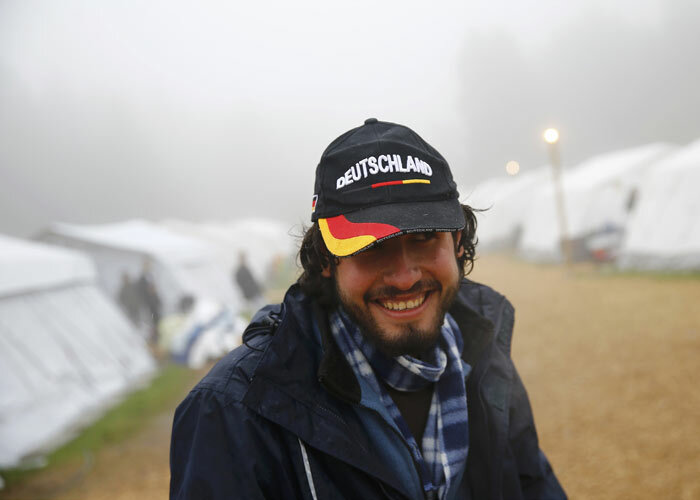 London, The Arab Weekly – Fluechtlinge — refugees — was chosen the German word of the year for 2015. It was hardly a surprising choice in a country that received an estimated 1 million refugees from Syria, Iraq and other war-torn countries. 2015 has been the year of the mi­grant. According to the UN High Commissioner for Refugees (UN­HCR), wars, conflict and persecu­tion forced more people than at any time since record-keeping be­gan to flee their homes and seek refuge elsewhere. Widespread conflict in the Mid­dle East, with the rise of the Is­lamic State (ISIS) in Iraq and Syria, civil war in Libya and fighting in Yemen, means that a large propor­tion of the refugees were from the Arab world. Millions of Syrian refu­gees sought refuge in neighbouring countries, particularly Lebanon and Jordan. Others looked for ref­uge further afield in Europe and North America. Europe has seen at least 1 mil­lion refugees make the dangerous Mediterranean crossing from North Africa and Turkey into Europe in 2015, according to the EU border agency Frontex and the Interna­tional Organisation of Migration. The number of recorded migrant deaths in the Mediterranean for 2015 stood at 3,671, including Aylan Kurdi, the toddler whose image, washed up on a beach in Turkey, sparked an international outcry and renewed efforts by the Euro­pean Union to deal with the crisis. The majority of refugees who headed towards Europe in 2015 were seeking richer western and northern European countries, par­ticularly Austria and Germany. But reaching Europe’s border-free Schengen zone required desperate refugees to undertake an arduous journey — by train and bus, but mostly on foot — across much of southern Europe. The most used route saw refu­gees pass through Greece, Macedo­nia and Serbia into the Schengen zone via Hungary. After Budapest dramatically increased border se­curity in the summer, many refu­gees began using an alternate path into the Schengen zone via Croatia and Slovenia. Germany and its chancellor, An­gela Merkel, received international plaudits for its “open door” policy to Syrian refugees but as the flow of refugees increased, and amid fears of infiltration by terrorists follow­ing the Paris attacks, Europe faces an increasingly complex migrant crisis in 2016. “We want to, and will, appreci­ably reduce the number of refu­gees, because it’s in everyone’s interests,” Merkel said in Decem­ber, under pressure from more conservative government coalition partners and following the news that 206,101 migrants arrived in Germany in November, breaking the record of 181,166 set in October. Central European states, poorer and less populous than their north­ern and western European counter­parts, have been hardest hit by the flow of migrants into Europe. Hungarian Prime Minister Vik­tor Orban warned the migrants represented a threat to Europe’s Christian identity, justifying Bu­dapest’s construction of a fence along its border with Croatia. He later claimed that “all the terrorists are basically migrants” in the after­math of the Paris attack. In North America, the Canadian and American responses to the ref­ugee crisis were very different. US Republican presidential front runner Donald Trump consolidat­ed his lead in some polls thanks to his staunch anti-immigration rhetoric, from promising to build a wall on the border with Mexico to calling for a “blackout” of Muslims entering the country. Many Repub­lican governors said they would not allow Syrian refugees to settle in their states. Although US President Barack Obama called on Americans to welcome Syrian refugees into the country, Washington admitted only a few thousand. Obama has set a target of 10,000 Syrian refu­gees to be allowed into the United States by October 2016. Canada, which saw liberal Justin Trudeau become prime minister in November, said that it would take in 10,000 refugees by the end of 2015 and an additional 25,000 by October 2016. Trudeau personally welcomed the first Syrians to the country in November. “This is a wonderful night where we get to show not just a planeload of new Canadians what Canada’s all about but we get to show the world how to open our hearts and welcome in people who are flee­ing extraordinarily difficult situa­tions,” he said. However, with no end in sight for conflicts across the Middle East, analysts expect the refugee crisis to continue into 2016. Problems re­garding the settlement of so many migrants in Europe and questions over integration and assimilation are likely to get louder.